Stingray skin is resistant to fire, water and tears, and will retain its smooth polished texture. It’s smooth surface feels like thousands of small polished stones. 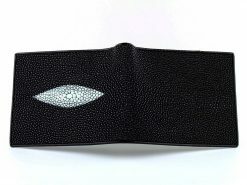 This finish is also known as shagreen from the French word “chagrin”. 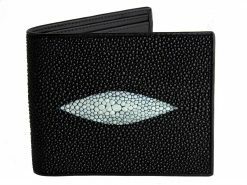 A beautiful wallet and the prefect gift when looking for something with more class than the average cow leather wallet.